What is the Michigan Expositors Summit? The Michigan Expositors Summit is an annual gathering of pastors, ministry leaders, and seminary students who come together to fellowship, network, and gain new tools to become better expositors of God's Word. Our program is an annual,. half-day seminar. We share a breakfast together, hear a few workshops from a guest speaker, have a Q&A time, and then have lunch. The full cost of this event is carried by Grace Baptist Church and the SMARBC, so it can be offered free to all interested pastors and students. James Wells became the Senior Pastor of Highland Hills Baptist Church in March of 2015. Before coming to Highland, he was Senior Pastor of Island Pond Baptist Church in Hampstead, NH. 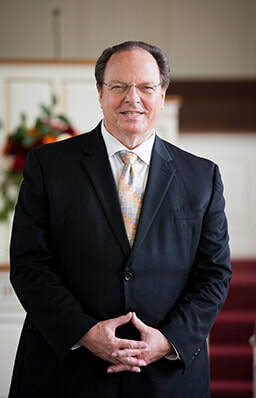 A graduate of the University of Michigan and Dallas Theological Seminary, he has served as a minister of youth and education, in church planting, and the pastorate for more than thirty years. Additionally, he has taught at Baptist Bible Seminary, Cornerstone University, and Grand Rapids Baptist Theological Seminary. Pastor Wells has also been a member of several boards and associations, bringing God's Word to various Bible conferences, retreats, civic organizations, and sports teams. He has ministered in several capacities in support of world-wide missions. He was instrumental in establishing the New England Center for Expository Preaching. To see the Bible taught, people saved, and Christ's Church built, are his great ministry passions. Note: The first 50 to register will receive a free copy of Feed My Sheep: A Passionate Plea for Preaching.